Common Polypody. 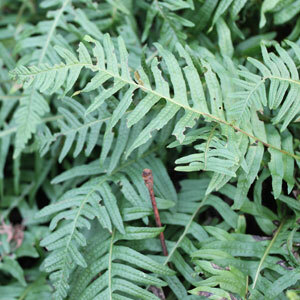 An attractive evergreen fern with deep cut leathery fronds. Max Height 30cm. Partial shade. Hardy. Tough as old boots and drought tolerant.